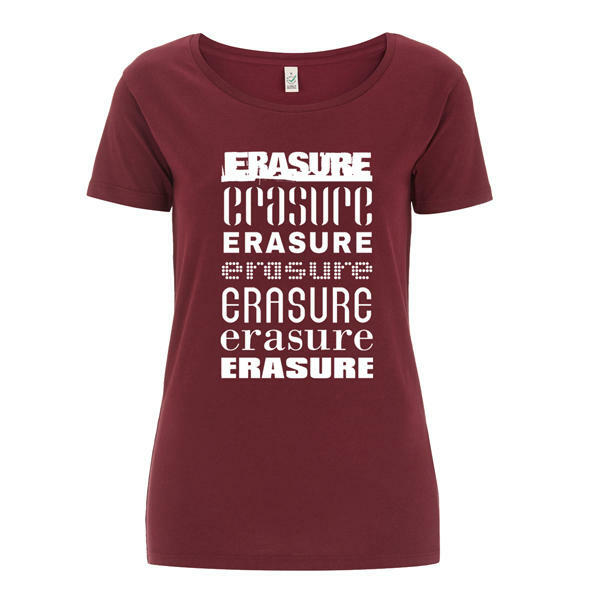 The T-Shirt as sold at the World Be Gone 2018 UK & Europe Erasure tour. A high quality, 100% cotton, burgundy women's multi logo t-shirt, featuring multi logo front print. This tour merchandise item will not be replaced once sold out. Available only in the sizes shown, select your t-shirt size from the drop-down menu below.